This page contains pictures and information about Green Grass Pyrgomorph that we found in the Brisbane area, Queensland, Australia. Female and male, length 40mm and 30mm. 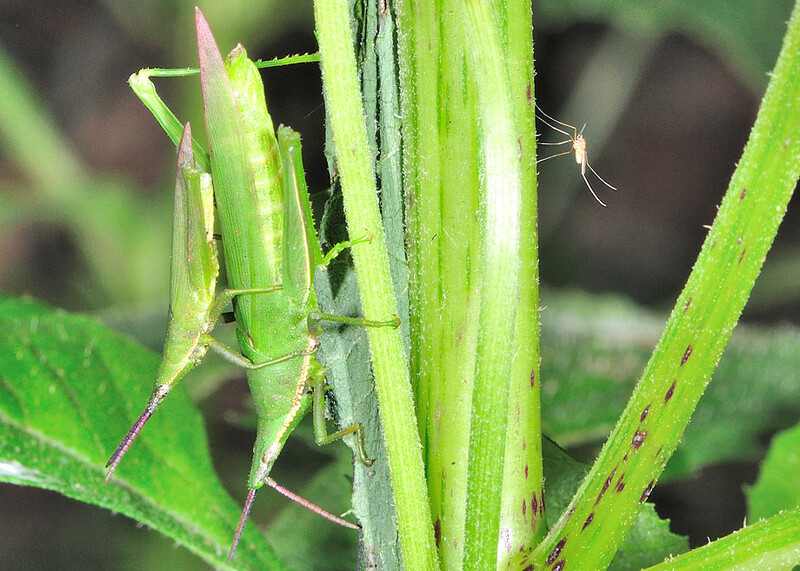 The insects in this page could be Atractomorpha similis or Atractomorpha australis. 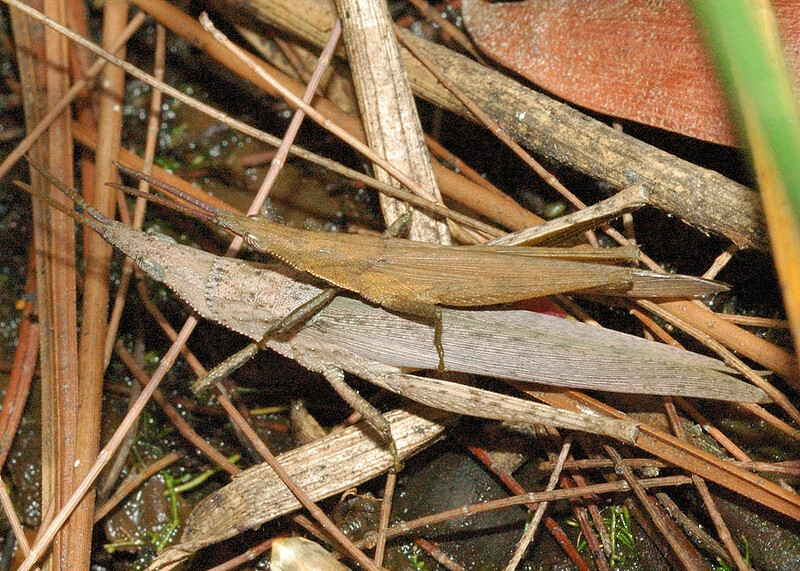 Both species look similar and can be found in Brisbane. 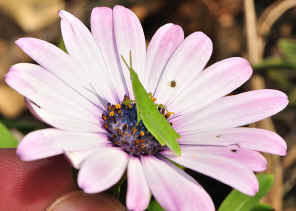 They are almost impossible to be distinguished on photos. From the reference information, A. similis adults can be found around all year while A. australis adults found only on Feb, Mar and Apr. They are common in grassy and moist area. 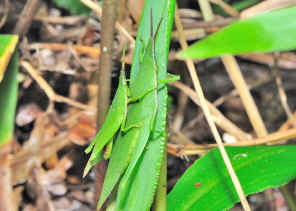 This grasshopper is also known as Vegetable Grasshopper. They are common in Brisbane and easily found on grasses and other garden plants. 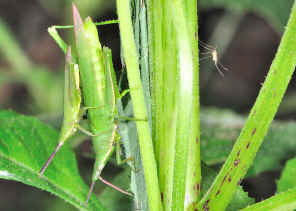 They are small and green in colour. 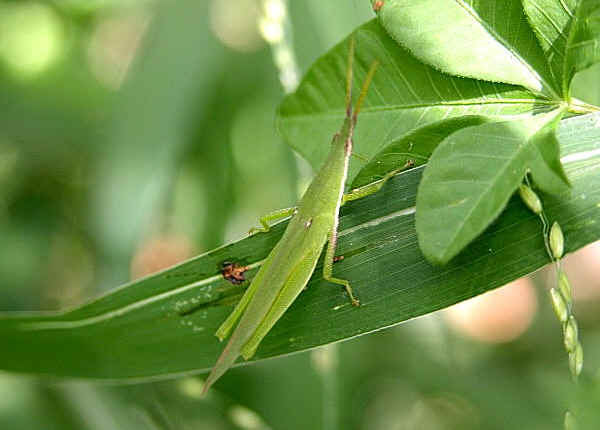 They do not jump very fast nor fly very far, easy to catch, but hard to be seen when they hide in grasses. 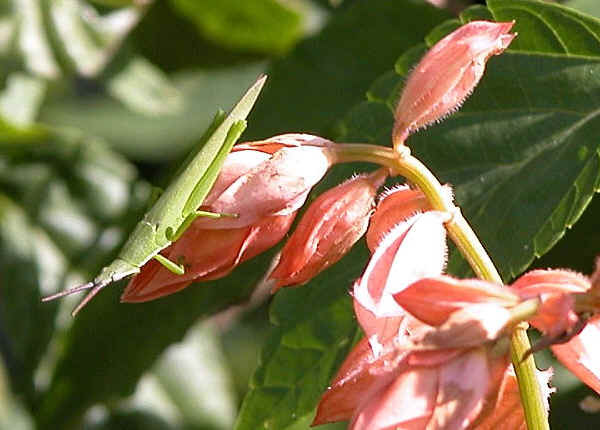 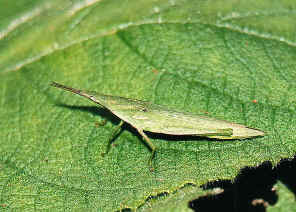 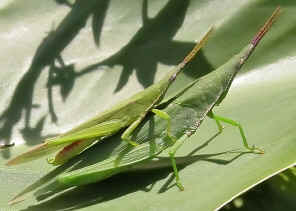 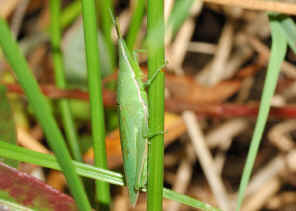 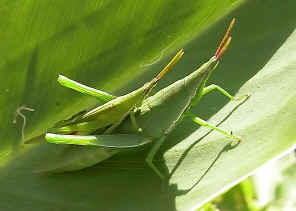 They are grass green in colour, with pink colour on their hind wings and abdomen, covered by front wings. Males are smaller than female in size. 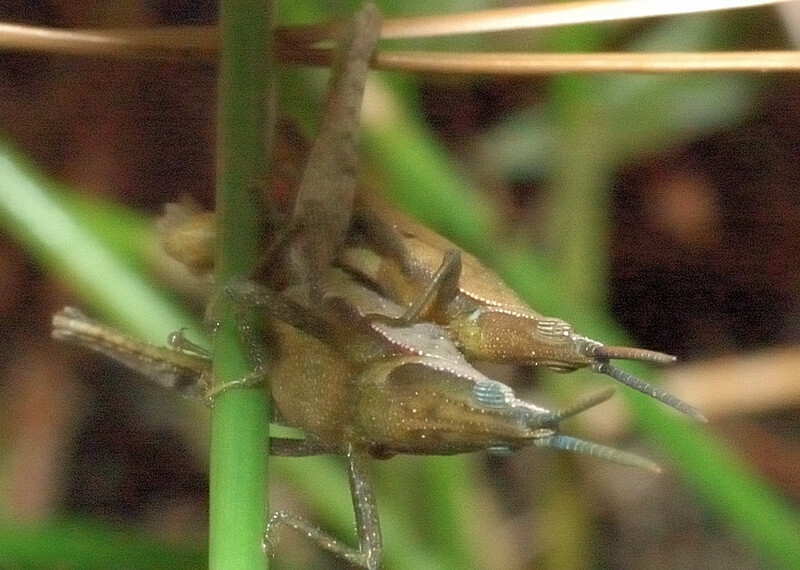 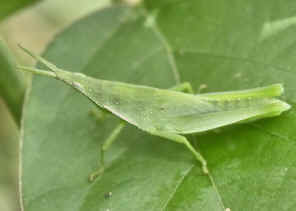 Nymphs look similar to the adults except wingless. 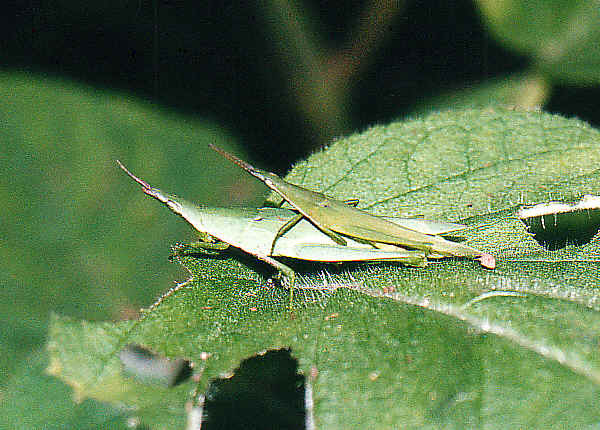 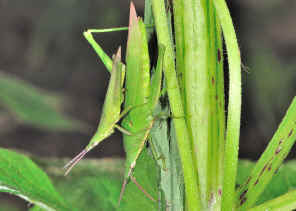 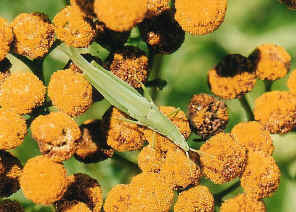 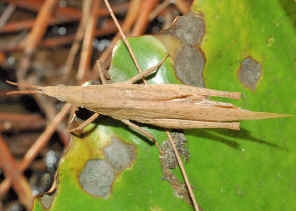 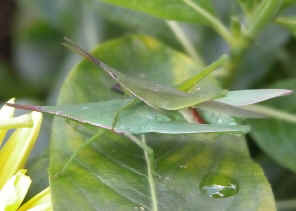 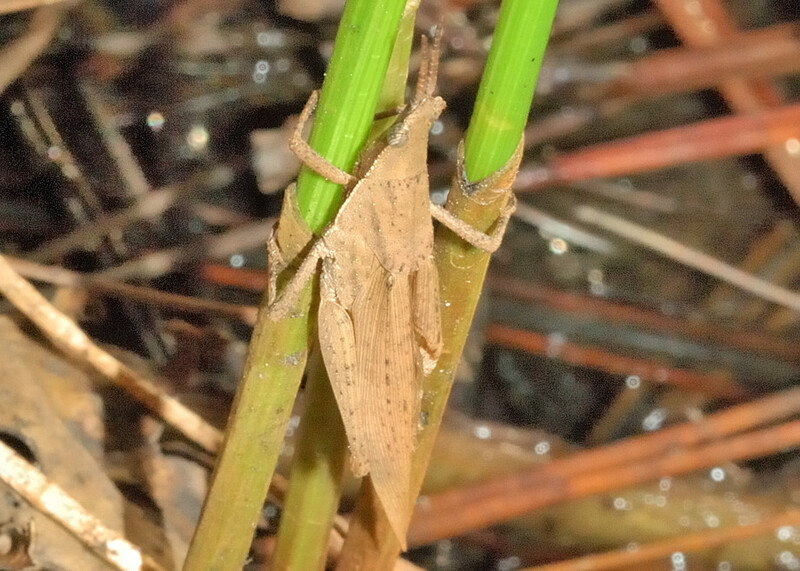 The Vegetable Grasshoppers feed on different type of leaves, mainly on dicotyledonous plants. They can be found in gardens and farms, but seldom cause large damages. Brown form can also be found in this species. 1. 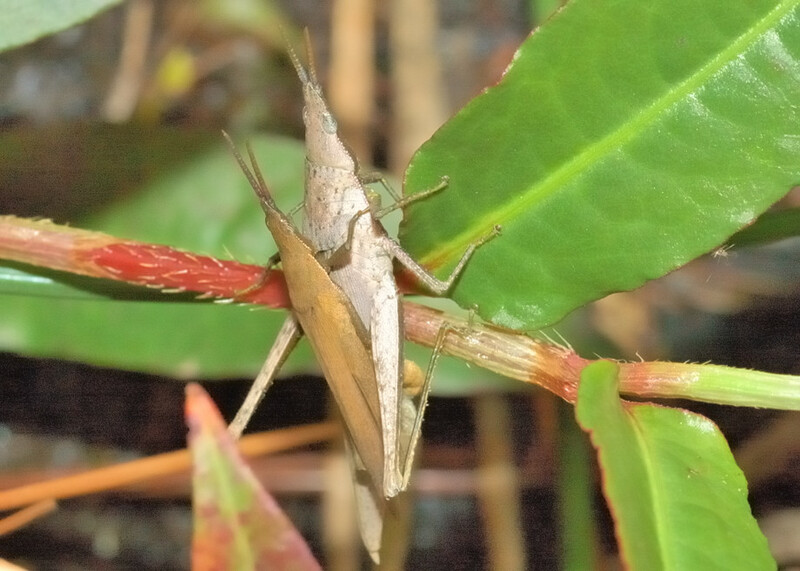 A Guide to Australian Grasshoppers and Locusts - DCF Rentz, RC Lewis, YN Su and MS Upton, 2003, p57, 58. 2. A Revision of the Australian Atractomorphini - KHL Key and DK McE.Kevan, 1980, Australian Journal of Zoology 28 (6) 717 - 773. 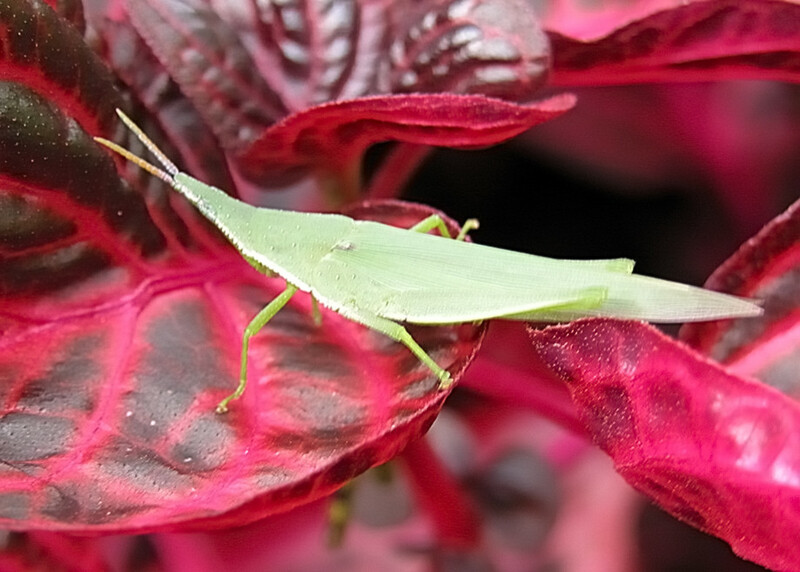 Last updated: June 21, 2011.